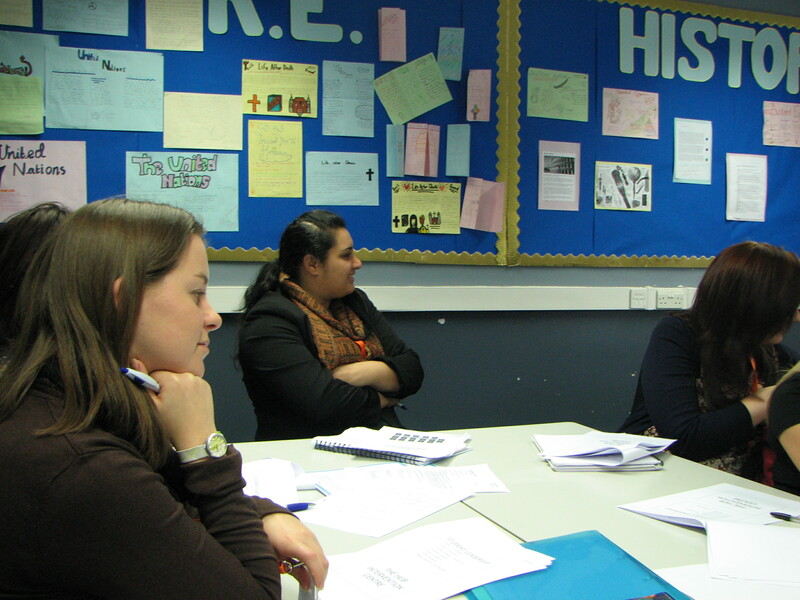 PGCE trainees enjoyed high quality behaviour management training courtesy of our colleagues at Stretford High school. As always, we received a very warm welcome from our Stretford colleagues, including Faisal Ahmed and Mez Munshi, recent highly successful PGCE alumni. 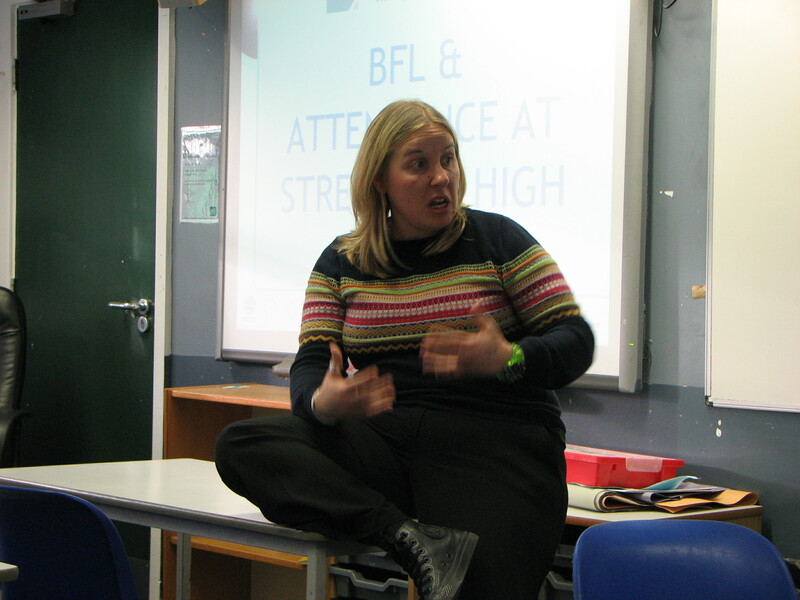 Stretford’s lead behaviour and attendance professional, Leila, took us through Stretford’s highly successful behaviour policy which underlined just how effective a systematic whole school approach is. Consistency, good use of praise and rewards and careful, proactive monitoring of attendance all emerged as the key ingredients to ensuring behavior for learning. 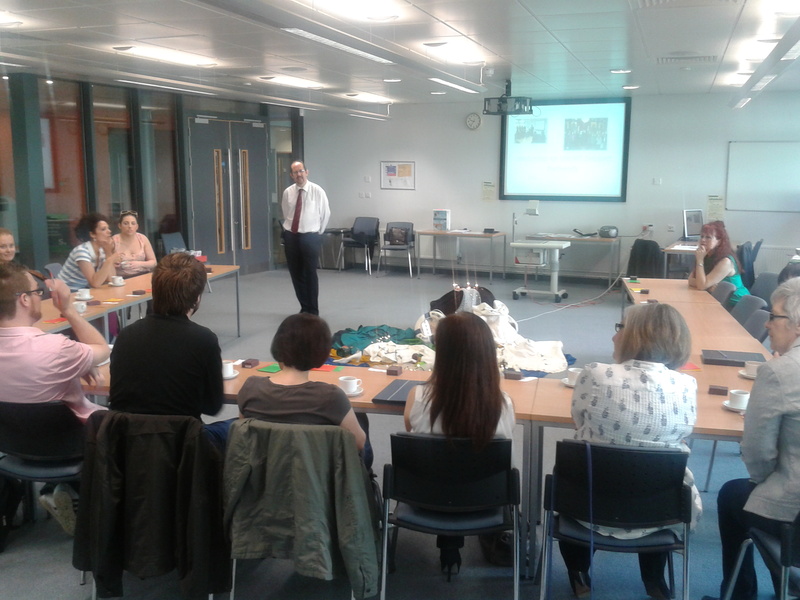 We also gained valuable insights into the use of the school’s staged consequences and restorative justice. 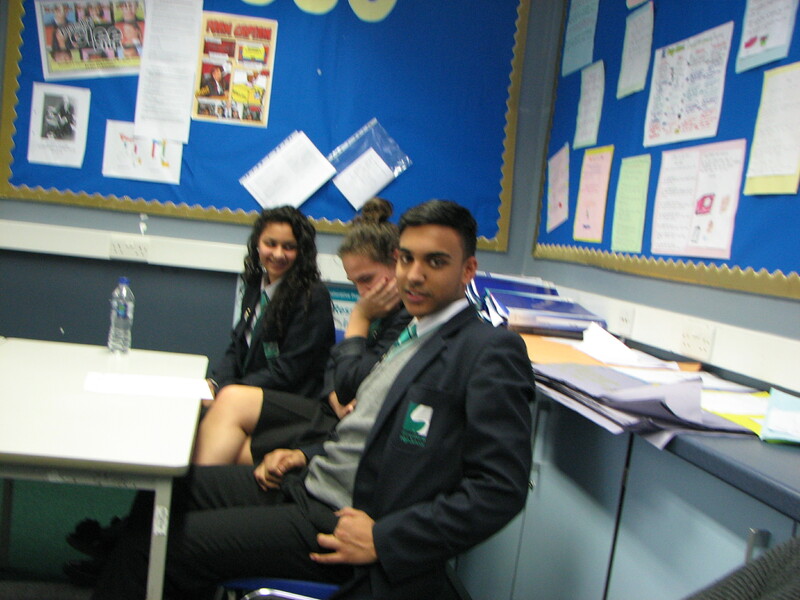 The stars of the session were the three year 11 pupils who joined us to give their perspective on class management. 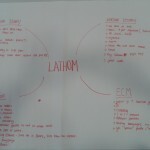 The pupils told us that they valued a fair and consistent approach. We learnt that they knew when a teacher was making the effort with them and shouting wasn’t effective, quite the opposite and likely to back-fire! It was interesting to hear that the pupils expected teachers not to hold grudges- all wise advice from the people who count the most, the learners. 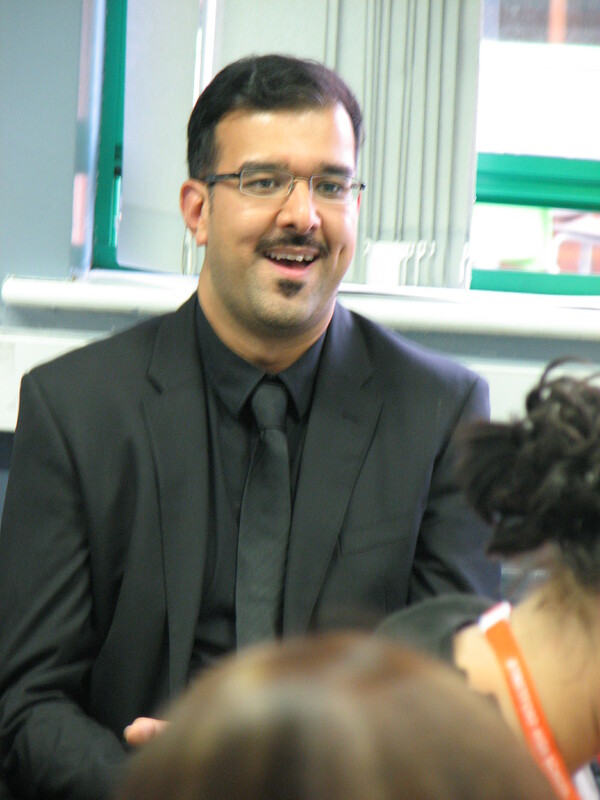 We finished with some helpful advice from Faisal, who is leading on aspects of the school’s pastoral review, developing the role of the form captain. Once again we came away from Stretford High inspired with the knowledge that good systems work and have impact on pupil achievement. 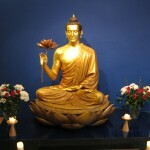 Seeking enlightenment at the Triratna centre! 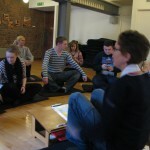 Year 2 trainees enjoyed an enlightening visit to the beautiful Triratna Buddhist centre (22.11.12) gaining the insider’s perspective on what it really means to live as a Buddhist in 2012. 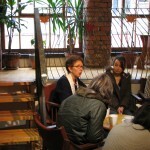 Our speaker, Munisha,(Clear Vision) offered us a very warm welcome and a much appreciated brew, before telling us the story of the Manchester Buddhist centre. We then experienced the peace of the main shrine room, which demonstrated how calm surroundings produce more peaceful states of mind. After a fascinating Q/A session we were left with a deeper understanding of key Buddhist values, especially right livelihood and the importance of spiritual friendship. 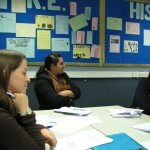 As always Munisha made the perfect host, thoughtful,open and generous in her responses to trainee questions. 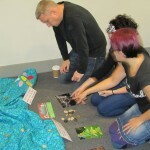 Everyone said how much they enjoyed the session and we only wished we’d had more time for more questions! 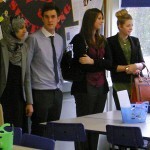 I’m sure that the visit will result in future RE school trips when our year 2 trainees become RE teachers. 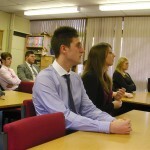 Year 1 Undergraduates had their first taste of school as they visited Lathom High School in Skelmersdale for an intensive morning’s introduction to school. 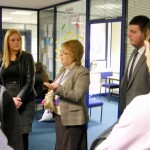 For the first part of the day students visited the Every Child Matters centre where Deputy Head, Jane Galbraith, explained the fantastic work that the centre does, in providing support for pupils’ needs. 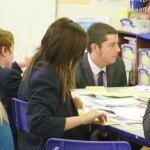 Around 20% of the school have some interaction with the centre, making use of either the Learning Mentors, TAs, Counsellors or a combination. Jane outlined the referral process so students were introduced to School Action, Action Plus and Statementing. 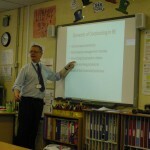 The school’s EAL provision was also outlined; 10% of the year 7 entry in 2011 were identified as EAL learners! 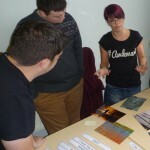 Students were particularly interested in the idea of ‘restorative justice’ where two parties who have a disagreement are brought together in an attempt to resolve the problem. 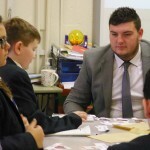 Trevor Hodson an Assistant Head in charge of teaching and learning in the school, and former Head of RE, spent an hour with trainees talking about observations, Ofsted, being outstanding and performance management. 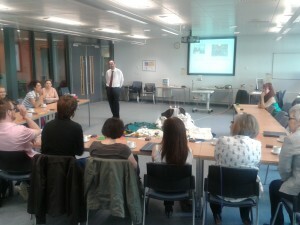 He showed how data was used in the school to monitor pupil progress and how RE needed to be academically rigorous, making use of AfL techniques and approaches to teaching including, Bloom, Kagan, Mindmapping, Thinking Hats and interactive technologies. 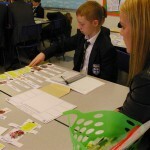 By observing an RE lesson, students were able to see some of these things in practice and realised that everything that happens in a lesson needs careful planning and work by the teacher. Pupils do not ‘just’ raise their hand, but this routine, like all such routines, needs to be purposely developed with the pupils. 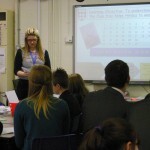 They saw the importance of planning a structured lesson, with all/most/some objectives and a range of learning styles employed. 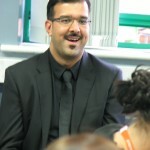 Praise and reward was a key factor in the teacher managing the behaviour of the class. 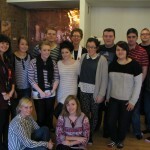 Finally the students spent time chatting to Jenny Clarke, an RE graduate from Edge Hill, who teaches RE at Lathom. 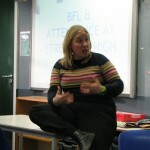 She helped to ease students’ worries about surviving the course and gave them valuable tips. 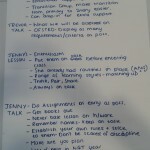 Jenny also stressed the importance of having high expectations, the value of pupil talk and group-work, the need for a variety of activities and the necessity of having behaviour management sorted! The students had a most enjoyable and enlightening time and are eager to start their placements after the Christmas break. Back at University the students reflected on their experiences and considered how what they had seen might influence the way they teach RE. 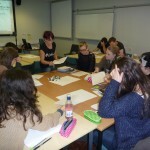 Year 2 Undergraduates welcomed Emma McVittie to Edge Hill to lead a session on planning for Spiritual Development. Emma spoke about some of the theoretical background to Spirituality in Children before using some of the resources from her ME! 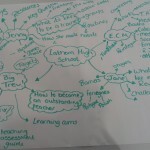 resource to enable the students to learn experientially. 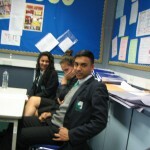 All the students reported that the session was superb and gave them an insight into spiritual development as well as practical ideas which they hope to use in their school placements after Christmas. It was the largest Hindu temple in the Northwest of England, and it was surprising to see what their sacred building was considering there are so many Gods that they believe in, it was also surprising to find out that the murals on the ceiling which were absolutely stunning, took only 10 weeks to make. it was a good experience, and learnt a lot from visiting also the Guide was most useful, and answered all the questions with a good answers, granted they were sometimes a bit complex, but that is better than an answer being too simple. It was really interesting going on this visit. Having never been to a Mandir before I didn’t really know what to expect. When I went in it was a large room with beautiful paintings, statues and pictures everywhere. The ceiling and walls have been painted with images of the Avatars, Deities and Vedas. People in the temple use this as something to focus on when they are praying.